Maya Israel, Ph.D. is an associate professor of Educational Technology in the School of Teaching and Learning at the University of Florida. She is also the research director at the Creative Technology Research Lab. Dr. Israel’s research focuses on strategies for supporting students with disabilities and other struggling learners’ meaningful engagement in science, technology, engineering, and mathematics (STEM) with emphases on computational thinking, computer science education, and Universal Design for Learning (UDL). 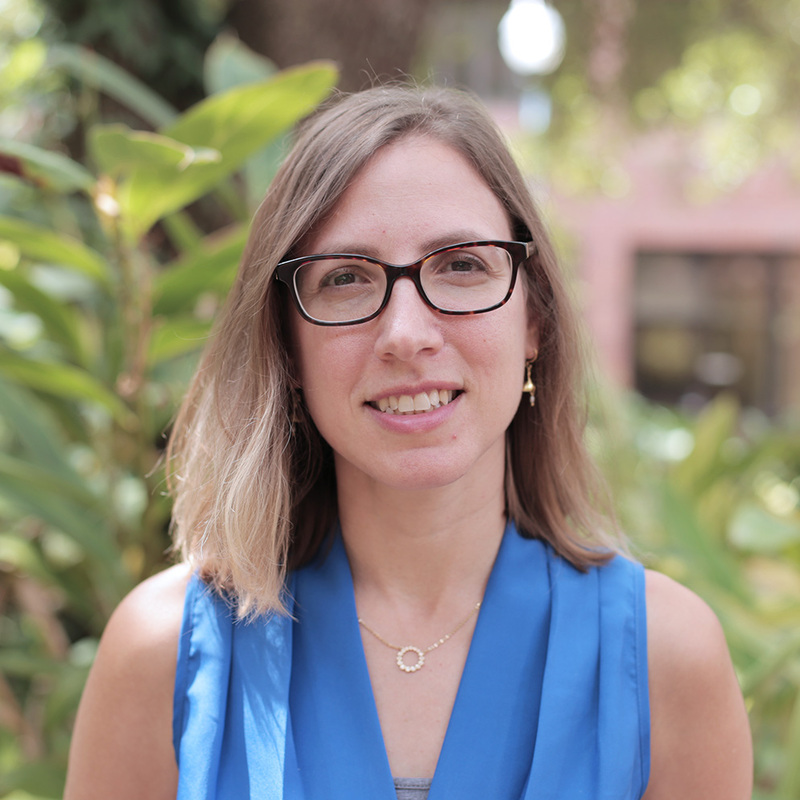 She is currently PI on two NSF projects focused on pedagogical approaches that support all students in successfully accessing computing instruction. Her work is interdisciplinary and involves collaboration with researchers, teachers, and other school leaders. Billingsley, B. B., Brownell, M., Israel, M., & Kamman, M. (2013). The Beginning Special Education Teacher’s Survival Guide. Jossey-Bass. Israel, M. (2019). Using assistive and instructional technologies. In J. McLuskey, L, Maheady, B. Billingsley, M. Brownell, & T. Lewis (Eds.) High Leverage Practices for Inclusive Classrooms. Routledge Publishing. Israel, M., Shehab, S., & Wherfel, Q. (2018). Increasing science learning and engagement for academically diverse students through scaffolded scientific inquiry and Universal Design for Learning. In M. Koomen, S. Kahn, C. Atchinson, & T. Wild (Eds.). Towards inclusion of all learners in science teacher education (pp. 201-211). Sense Publishing. National Framework Writing team including Israel, M. (2017). The role of research in the development and future of the Framework in K-12 Computer Science Framework, led by the Association of Computing Machinery, Code.org, Computer Science Teachers Association, Cyber Innovation Center, and National Math and Science Initiative. Retrieved from http://www.k12cs.org. Writing team including Israel, M. (2017). Practices including Computational Thinking in K-12 Computer Science Framework, led by the Association of Computing Machinery, Code.org, Computer Science Teachers Association, Cyber Innovation Center, and National Math and Science Initiative. Retrieved from http://www.k12cs.org. Israel, M., Ray, M. J., Maa, W. C., Jeong, G., Lee, C., Lash, T., & Do, V. (2018). School embedded and district-wide instructional coaching in K-8 computer science: Implications for including students with disabilities. Journal of Technology and Teacher Education, 26(3), 471-501. Ray, M., Israel, M., Lee, C., & Do, V. (2018). A cross-case analysis of instructional strategies to support participation of K-8 students with disabilities in CS for All. Proceedings of the 49th Association for Computing Machinery (ACM) Technical Symposium on Computer Science Education (900-905). ACM. Israel, M., Shehab, S., Wherfel, Q., Melvin, O., & Lash, T. (2017). Describing elementary students’ interactions in K-5 puzzle-based computer science environments using the Collaborative Computing Observation Instrument (C-COI). In Proceedings of the 2017 ACM Conference on International Computing Education Research (pp. 110-117). ACM. Israel, M., & Ray, M. (2017). Practical strategies for including students with learning and cognitive disabilities in K-8 computer science, CSTA Voice, 13(3), 6-7. Israel, M. Wherfel, Q., Shehab, S., Ramos, E., Metzger, A., & Reese, G. (2016). Assessing collaborative computing: Development of the Collaborative-Computing Observation Instrument (C-COI). Computer Science Education, 26(2-3), 208-233. Ladner, R., & Israel, M. (2016). “For all” in “computer science for all”. Communications of the ACM, 59(9), 26-28. Snodgrass, M. R., Israel, M. & Reese, G. (2016). Instructional supports for students with disabilities in K-5 computing: Findings from a cross-case analysis. Computers & Education. 100, 1-17. Israel, M., Wang, S., & Marino, M. T. (2015). A multilevel analysis of diverse learners playing life science video games: Interactions between gaming content, learning disability status, reading proficiency, and gender. Journal of Research in Science Teaching, 53(2), 324-345. Israel, M., Kamman, M., McCray, E., & Sindelar, P. (2014). Mentoring in action: The interplay between professional assistance, emotional support, and teacher evaluation. Exceptional Children, 81(1), 45-63. Marino, M. T., Gotch, C. M., Israel, M., Vasquez, E., & Basham, J. (2014). UDL in the middle school science classroom: Can video games and alternate text heighten engagement and learning for students with learning disabilities? Learning Disabilities Quarterly, 37(2), 87-99. Israel, M., Marino, M., Basham, J., & Spivak, W. (2013). 5th graders as app designers: How diverse learners conceptualize educational apps. Journal of Research on Technology in Education, 46(1), 53-80. Israel, M., Carnahan, C., Snyder, K., & Williamson, P. (2013). Supporting the induction of teachers of students with autism spectrum disorders through virtual coaching: A conceptual framework. Remedial and Special Education, 34(4), 195-204. DOI: 10.1177/0741932512450517. Marino, M. T., Israel, M., Beecher, C. C., & Basham, J. D. (2013). Students’ and teachers’ perceptions of using video games to enhance science instruction. Journal of Science Education and Technology, 22(5), 667-680. Israel, M., Maynard, K., & Williamson, P. (2013). Promoting literacy-embedded authentic STEM instruction for students with disabilities and other struggling learners. TEACHING Exceptional Children (Special STEM Issue), 45(4), 18-25.